New Limited Edition Body Washes from Softsoap Available This Summer Only! There is nothing quite like getting out of the shower feeling and smelling clean and I love it when the scent of the body wash hangs around for a while. 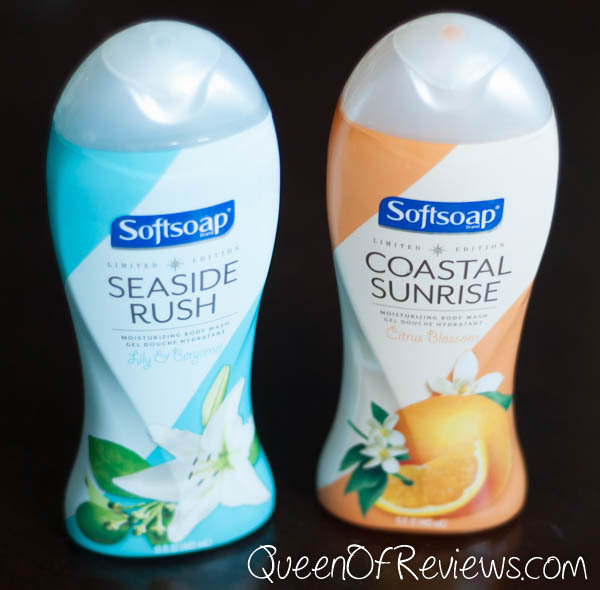 Softsoap recently introduced two new products that are available for this Summer only and oh do they make you think of Summer. Awaken your senses with the new limited edition Coastal Sunrise moisturizing body wash. I love the rush of orange zest combined with the warming aroma of vanilla. Watch the summer season bloom before your eyes, as the invigorated scent of Citrus Blossom surrounds you and the moisturizing formula leaves skin feeling soft and smooth. Seaside Rush has the fragrances of Bergamot which is citrus, similar to an orange, but a little more refreshing like it has a hint of lime. Pair this with the floral aroma of Lily and you will be taken away to a relaxing beach far away. Softsoap products are sold at department stores, grocery stores and drug stores nationwide, pick up a bottle or two today and let me know what you think of them and be sure to show them some love on facebook and twitter.